As you know, a couple of days ago I received the advance yardage of Essentials II Fabrics and I was out of this world! Naturally, I couldn't wait and started cutting fabrics right away. I had already in mind of what I wanted to sew but needed the right fabric combination to go along Interwill Azur. 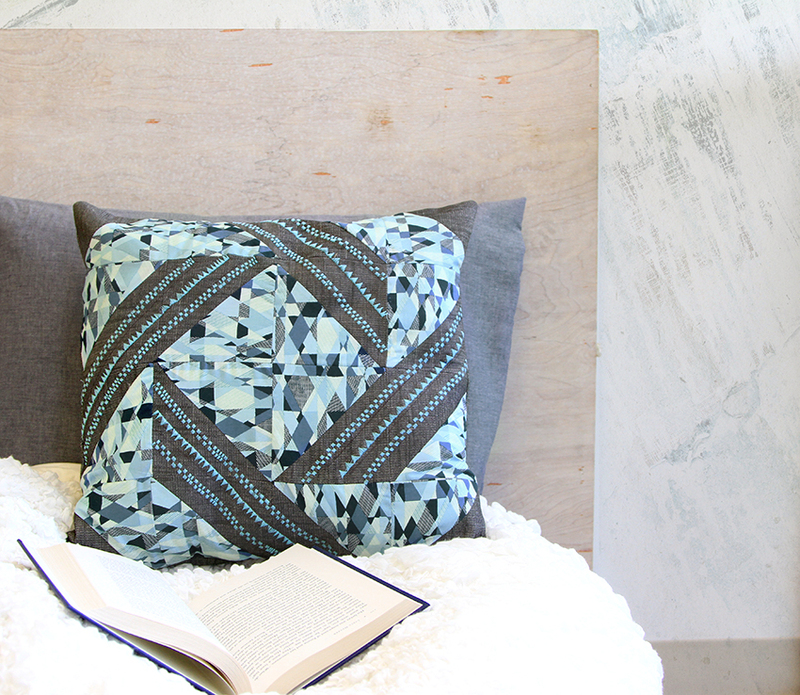 So I decided to use AGF's new line of substrates, The Denim Studio...and the Essence Pillow Case came to life. 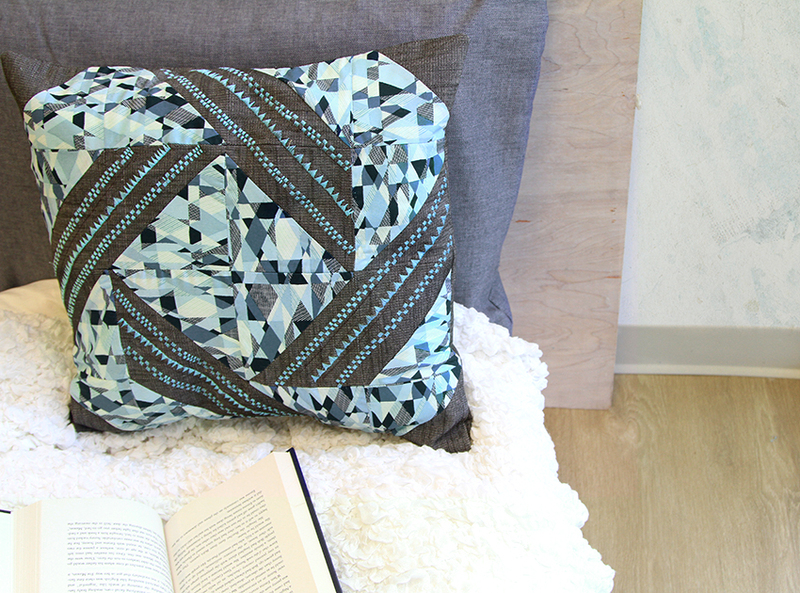 Want to make this one of a kind pillow case with intricate stitching? Well visit here to get the complete step by step tutorial. That pillow is absolutely awesome!!! I cannot wait to make some for my home. Thank you Judy and yes make it because it is super easy and fun!